At Apple’s iPhone event last month, it seems as if everyone was a bit shocked to see “Mario” creator Shigeru Miyamoto make a surprise appearance on stage to announce and show off his new app, Super Mario Run. 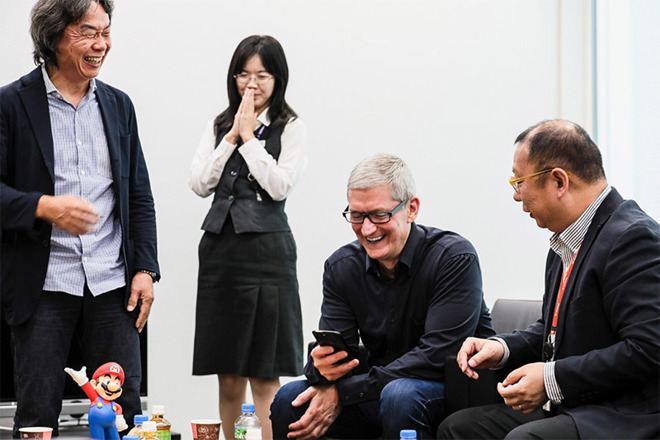 Now, Apple CEO Tim Cook has returned the favor by paying a visit to Nintendo’s world headquarters in Kyoto, Japan. Upon arriving in Kyoto, Cook tweeted “Ohayou gozaimasu” (good morning). He then met with Nintendo president Tatsumi Kimishima and Super Mario co-creator Shigeru Miyamoto, said Nintendo spokesperson Kenichi Sugimoto. Cook later tweeted a photo of himself playing Super Mario Run with Miyamoto and game designer Takashi Tezuka. There is no solid release date yet for the highly anticipated Super Mario Run, Nintendo’s first official game application for mobile platforms. It will, however, be a limited exclusive for iOS users upon release. Android users are going to have to wait a while (how long has not yet been said) before they get to play Nintendo’s mobile application. Super Mario Run, scheduled to release on iOS before the end of the year, is a side-scrolling running game in the vein of Temple Run that can be played with one hand. Many have applauded Nintendo for finally embracing smartphones after years of sticking to a strategy of pairing its own software with its own hardware. 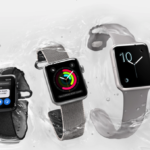 For Apple, the addition of exclusive content such as Nintendo’s iconic plumber is a great way to boost the appeal of its devices against those from competition such as Samsung and other smartphone makers. Is anyone else excited to play Super Mario Run?